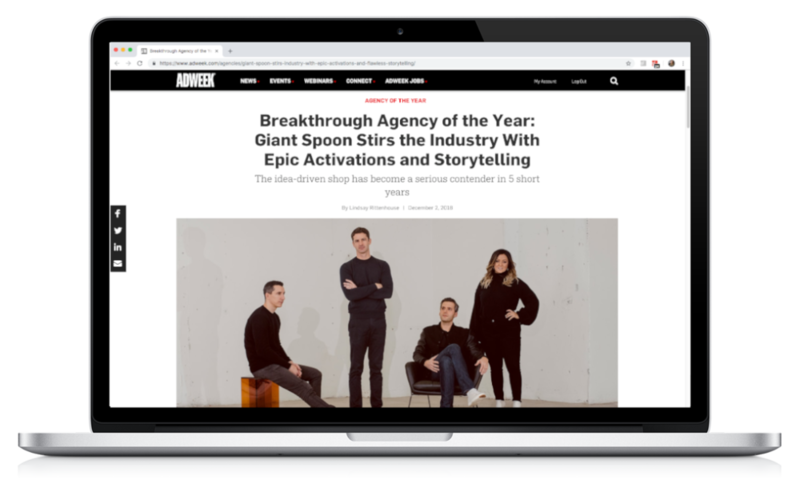 Giant Spoon, Adweek’s Breakthrough Creative Agency of the Year, has been steadily turning out striking work since its founding five years ago, but 2018 was exceptional for the scale and impact of its campaigns. For client HBO, the full-service shop created a meticulous replica of Sweetwater, the town inside hit series Westworld, on a two-acre plot of land just outside Austin, Texas, for South by Southwest. There was live music, taverns, horses, 60 actors and a train that, albeit stationary, resembled to a T the one in the show that carries people to and from the amusement park for which the series is named.